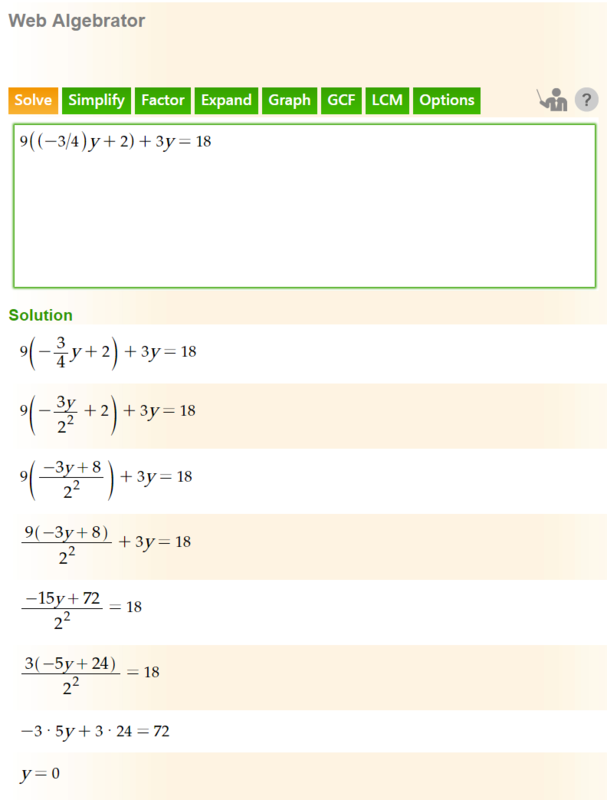 Assuming your answer is correct plug ' x=-3/4y+2' into '9x+3y=18' and solve. If this is the correct answer you should get identity. 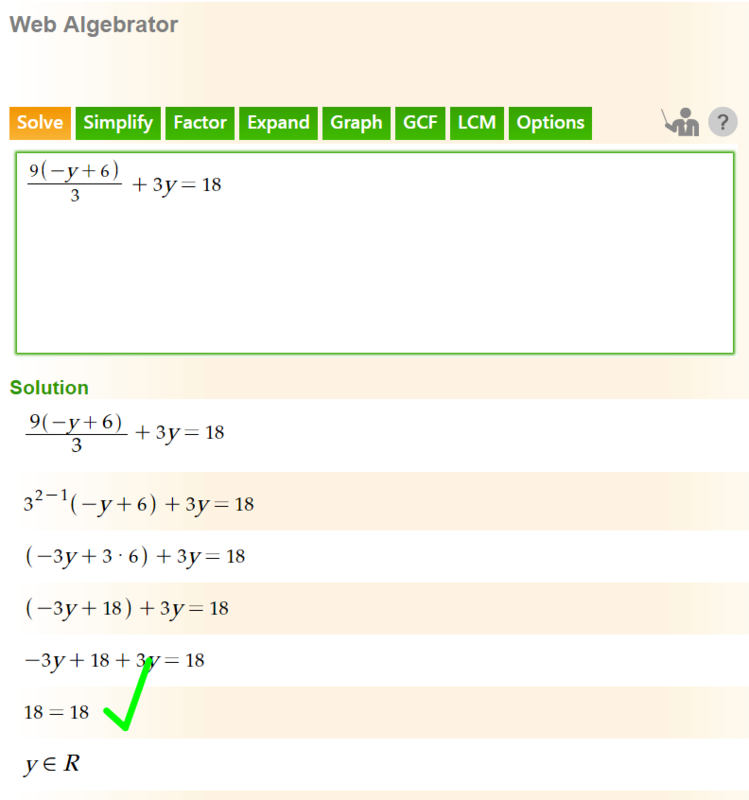 Instead, you get 'y = 0' meaning the above solution is correct only when y = 0, not for all real numbers y.
you will get '18 =18' which is valid for every 'y' thus this is the correct solution.